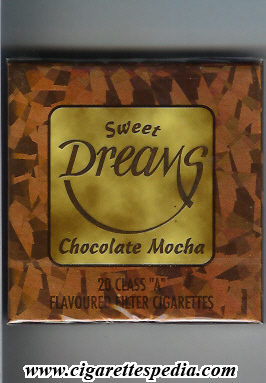 The Dreams company in Belgium manufactures many high-quality cigarettes and cigars, including California Dreams (multi-colored cigarettes), Sweet Dreams (cherry flavored cigarettes), Midnight Dreams (black cigarettes), to name just a few, as well as an herbal line, Herbal Dreams. It is believed they were discontinued several years ago. 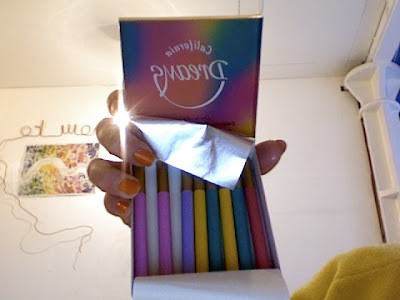 California Dreams Assorted Colors cigarettes are produced in USA & Belgium. The line, which comes in a variety of different styles, range from traditional blends to highly flavored. 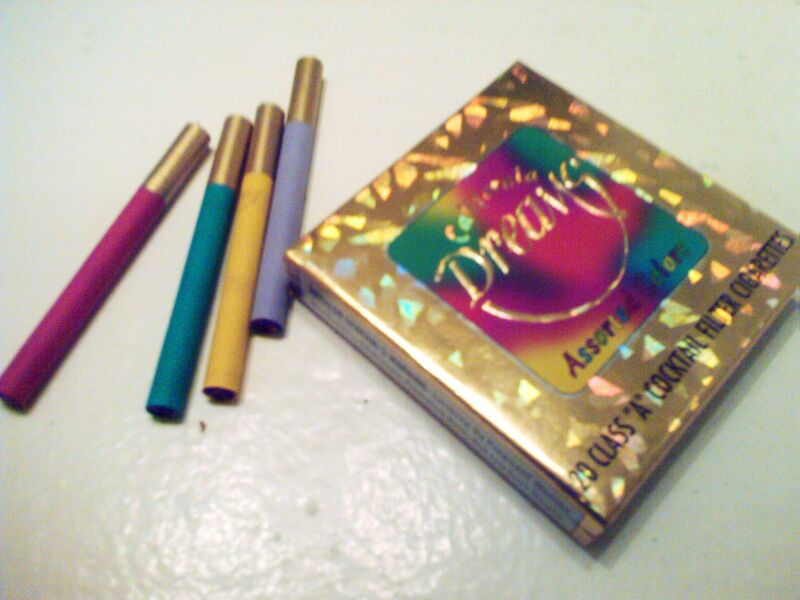 "California Dreams is a multicolored cocktail cigarette, with unflavored Virginia tobacco. 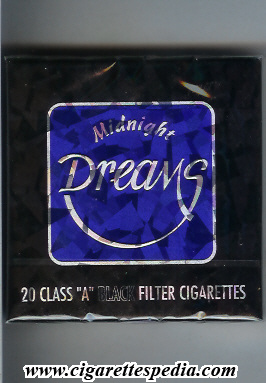 Midnight Dreams is a black cigarette with Russian Latakia. It's stronger, but with a smooth character. 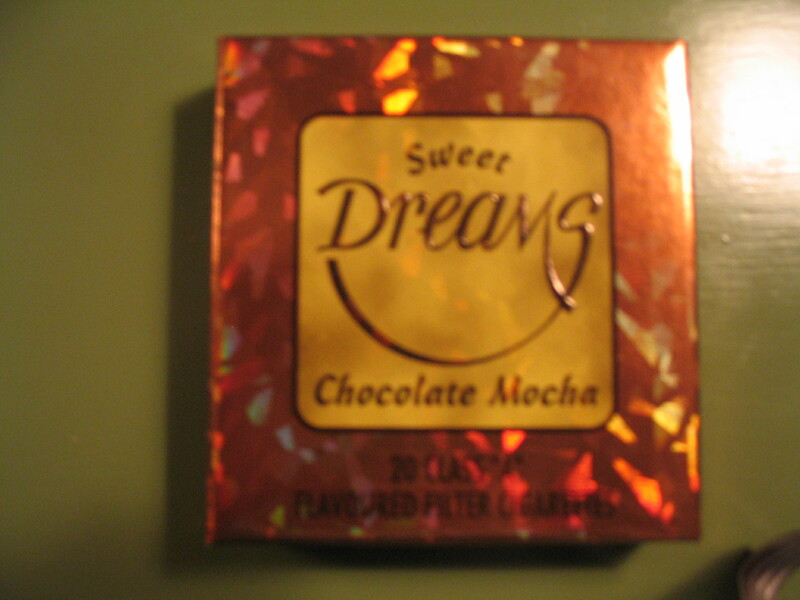 Sweet Dreams is flavored with vanilla, cherry, chocolate. 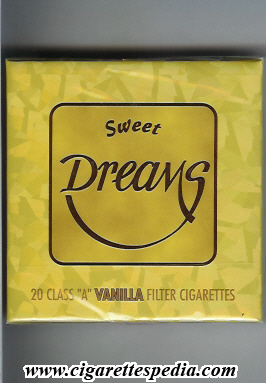 Herbal Dreams blends pharmaceutical-grade herbs to approximate the taste of tobacco, but without tobacco." 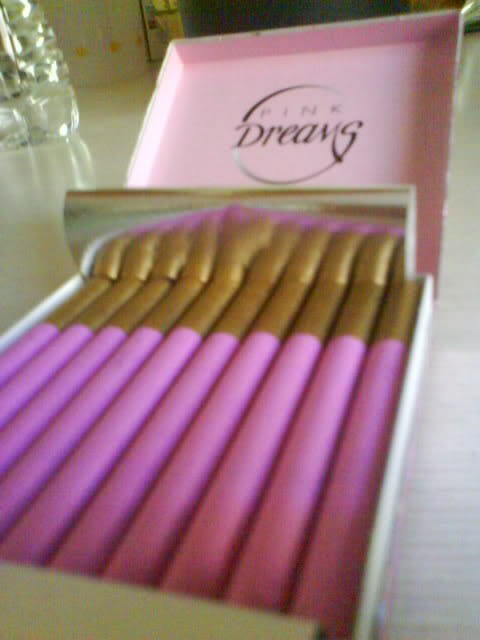 - Cigars - Cherry, Chocolate and Vanilla.